For those of you following the Disney Parks Blog, you will have noticed some new additions to Kilimanjaro Safaris. Babies. Disney announced the birth of a male white rhino, a critically endangered animal. In fact, this is the 9th white rhino born at the Animal Kingdom, a list which also includes the baby's mother and grandmother. And every birth counts. 2014 was a terrible year for the rhino. More rhinos were killed in South Africa last year than in recent memory, with over 1200 killed there alone. That's a staggering number especially when you consider how few rhinos are remaining in the wild to begin with. The horn of the rhino is still in high demand as "medicine" in China and Vietnam, the principal reason behind the poaching. 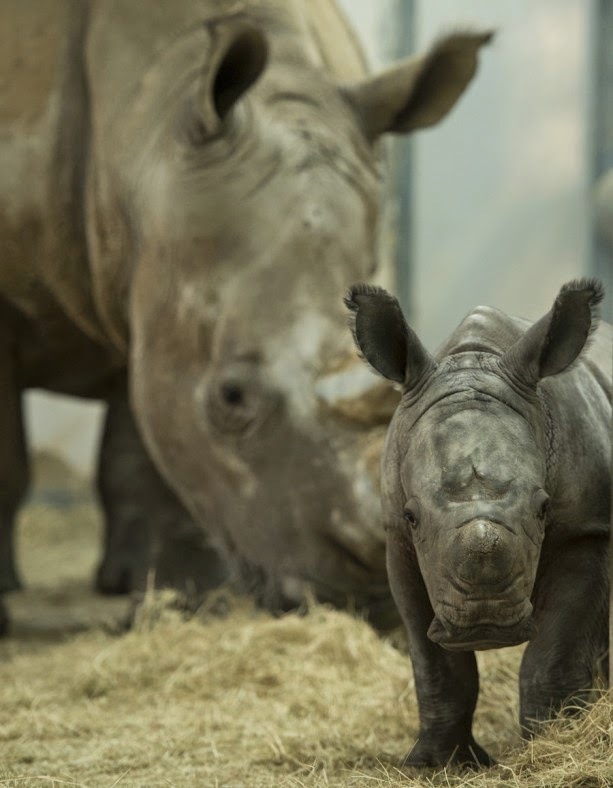 The adorable baby rhino is not the only new addition. The symbol of Harambe itself has a bigger herd. 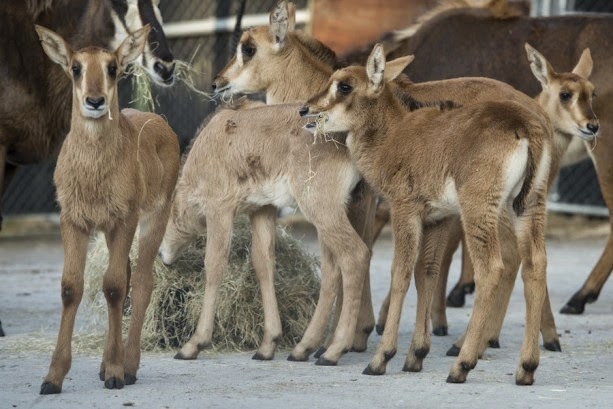 The sable antelope is the animal depicted as the icon of the fictional reserve and five little babies are now on the savanna. Three males and two females were born in late December through January. The animals are beautiful with their deep red coats and long curved horns. But these calves are equally adorable. Fortunately, the sable antelope is not in the same predicament as the white rhino. They are considered "of least concern" by the IUCN in categorizing an animal's conservation status. However, their population is in decline, mostly due to habitat loss, and local populations have suffered. So the sable needs our need too.